Velocity Microwave has a patent-pending, revolutionary design of VNA port extension cables. The new VM Vector series cables are repairable! This simple concept will save you thousands of dollars over the life of the cable. No longer will you need to replace cables that are damaged or worn out. Each component in a Vector cable can be repaired, including field-repairable connectors. To provide even more value to our customers, Velocity Microwave will provide an extended warranty on connector repairs that you perform in the field! After performing the repair process, simply send us the new passing calibration data and we will back your work for six months. The extremely flexible Vector cables are available in standard 26" and 39" lengths. 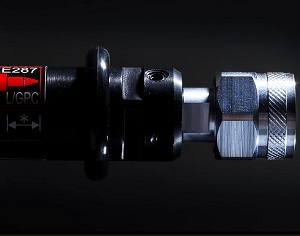 Any configuration of connectors, Type N through 1.85mm, male or female, NMD-style or standard connectors can be specified.